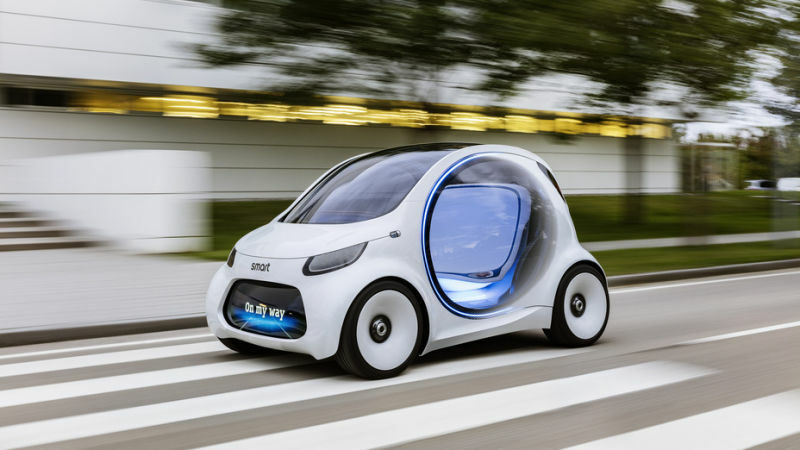 With its car-sharing-program car2go Daimler demonstrates in many European cities how urban mobility of the future looks like. 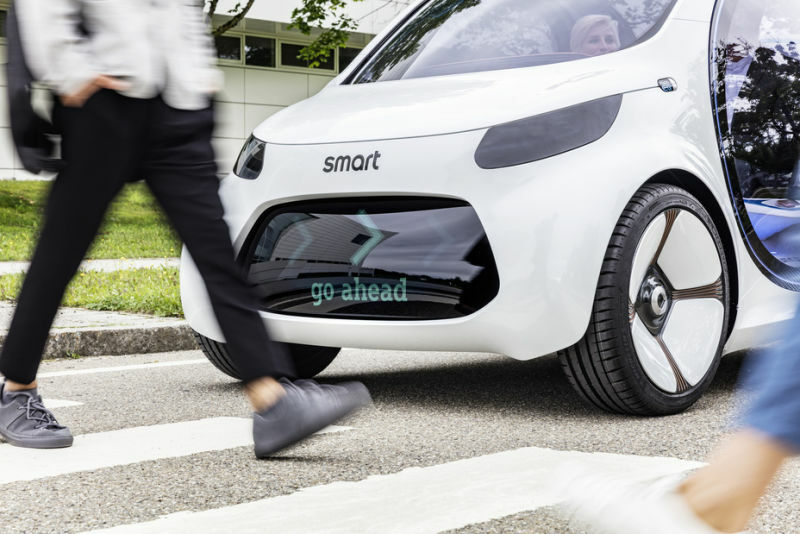 The Smarts can be unlocked and used via app, and after a drive the cars are simply parked on any public parking spot in the city, until the next car2go-driver books the car. 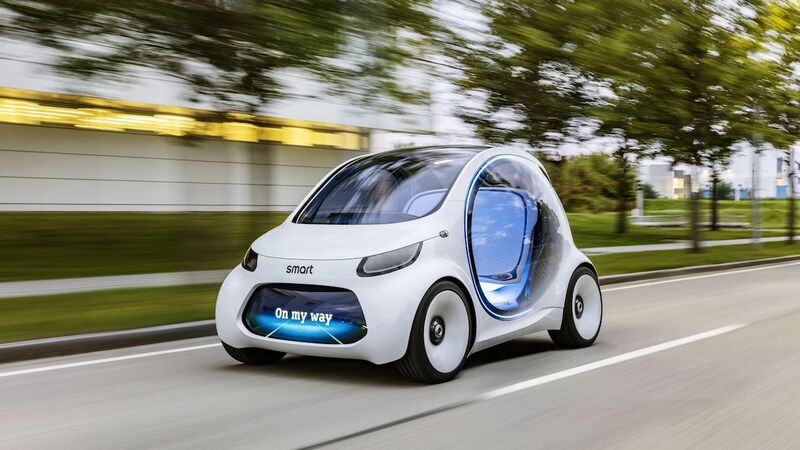 With the electric Smart FourTwo-concept Daimler goes one step further. 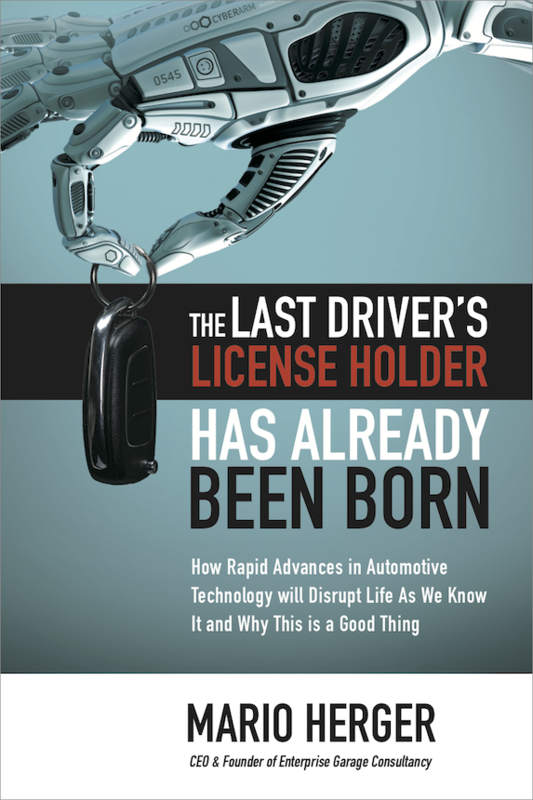 The passenger is not the driver, the passenger is the passenger. 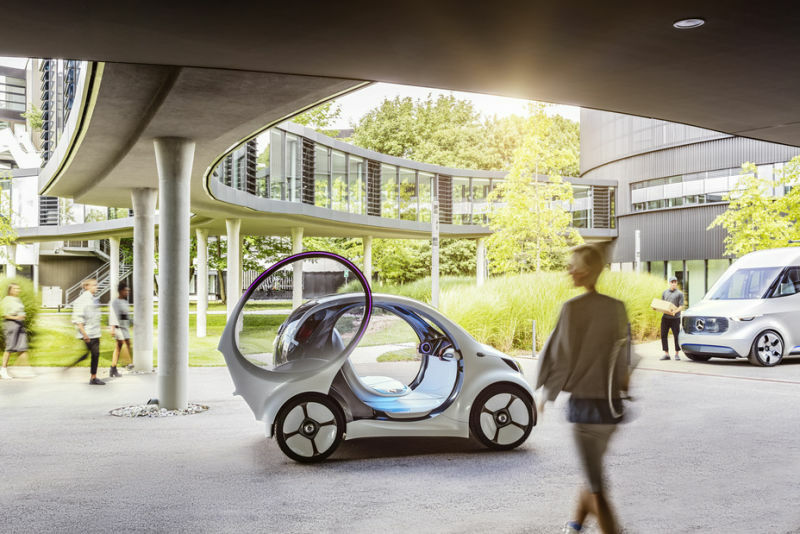 The combination of an electric autonomous two-seater is the ultimate step towards a redefinition of mobility in cities. No need to search for an available car, the car comes to the passenger. No stress driving in dense urban traffic, the passenger can relax or talk with fellow passengers. 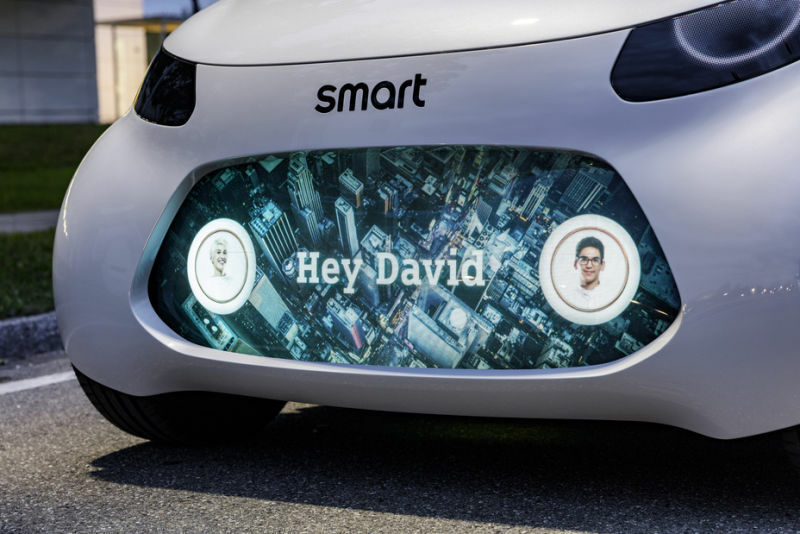 And instead of hunting for parking spaces, the Smart is driving off on the search for the next riders. The vehicle design is remarkable. Cute, and thanks to large doors it’s easy to get into the seat. 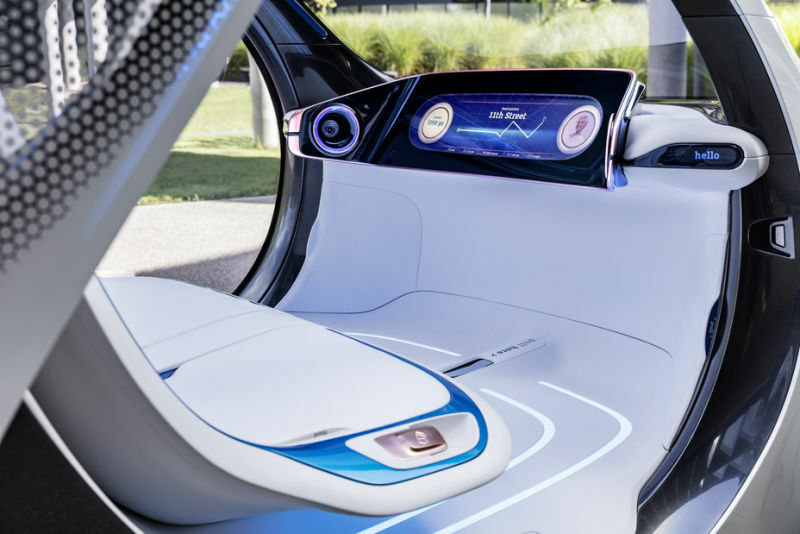 The front grill – thanks to a lack of a combustion engine became obsolete – has a display, which communicates with passengers before they board the car or with pedestrians. The car has a carbon fiber shell, and is equipped with rada and cameras. The length of the car with 2.7 meters, 72 centimeters width and height of 1.54 meters may seem not that much, but the generous use of glass make the car appear roomy. Currently such Smart FourTwos are tested in a limited area in Tokyo. It’s still a concept car, with all the potential flaws. The driving comfort with those broad tires still requires some adjusting, but is very quiet. The ride is occasionally bumpy, and a safety technician monitors the vehicle from a distance to shut it down in the case of cases.